On January 16, 2019, New York published an emergency rule updating its motor carrier safety regulations. This update allows officers to begin enforcing the electronic logging device (ELD) regulations. 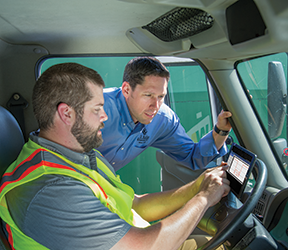 As has been previously reported, New York was not enforcing the ELD regulations during roadside inspections since it had not adopted the latest version of the interstate safety regulations published by the Federal Motor Carrier Safety Administration (FMCSA). However, New York was still enforcing the general hours-of-service regulations. Officer would make sure the driver had some type of log, that the log was current and accurate, and that the driver was complying with the applicable limits. Due to the rule change being published as an emergency rule, it is effective immediately.